Get Experienced, Qualified Home Tutor for your Child! 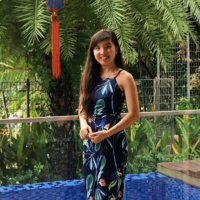 Looking for a reliable 1-to-1 tutor service in Singapore? Looking for a reliable tuition service in Singapore? With plenty of options available, it is a challenging task to find the right Tutor. However, when you’re with us, we guarantee to help you with only our Best, at every step of the way. We believe that every Child can secure a Distinction; with the right mindset and skills, which helps them achieve academic success. With a few years of experience in home tutor services, we have successfully helped over hundreds of Parents to find the perfect match for their Child. With Singapore being a meritocratic society, where your grades largely determines your future. Hence Parents mainly focus on going the conventional route; which is the Child excelling in their studies. Tutors today are hired out of necessity due to competition, and not because of choice. Parents don’t want their children to be left out academically compared to their peers. We understand the underlying factor, which is why all our tutors are all equipped with skills that give your child an advantage – even if others have tuition. Every student has different needs, and adapts to different learning styles. Each tutor has their own unique teaching style, sometimes suitable, sometimes not. It is our job to find the perfect, most suitable tutor for your Child, trial and error if needed. With the job of the tutor not limited to only building and reinforcing content foundation and practice, tutors also teach effective studying techniques and various exam strategies to encompass an all-around Education to tackle the examinations. CocoTutors is the one-stop solution for all your educational needs. All tutors you hire through our Tutor Agency are thoroughly reviewed and verified quarterly to ensure you are provided only high quality education. Our tutors are able to provide tuition from Pre-School level, Primary & Secondary level, up to Junior College and even University level. You can easily find a Math home Tutor, English home Tuition, Science tutor, Chemistry, Biology and Physics tuition, Chinese tuition, and also Creative Writing tutors. Our web portal CocoTutors features a comprehensive search function that helps you find qualified and experienced Tutors near your area; here is a sample List of Tutor Profiles that you will be getting. After submitting your Tutor Request, we will get back to you within 30 minutes. Our dedicated coordinators will do the work of searching and filtering, and provide you with a List of Tutor Profiles to choose your preferred home tutor from. The List of Tutor Profiles contains: Qualifications, Experience, and Rates of tutors that are interested. Our qualified tutors are ready to take up tuition assignments all across Singapore, from the East to the West Singapore, North, Central and South Singapore. All you need to do is just give us a Call or Book Online. Our Services are 100% free! Once you get in touch with us, your needs become our responsibility. We will turn every stone to find the best, most suitable teacher for you, at the best possible price. We have a wide range of tutors for you to choose from, with over a few thousand strong active tutors ranging from Part-time Tutors; A Level graduates, Undergraduates, University Graduate tutors, Full-time Tutors, as well as current/ex-MOE School teachers. Our tutors have varying experiences, some tutoring for over 30 years while others have just started, with 1-2 years tutoring experience. Our tutors are highly qualified as well, with many of them scoring 7 Distinctions for A Levels, and some even having a Masters’ Degree. And yes, they will be teaching your child! Apart from this, you can get in touch with our customer support agents at any point in time, especially if you require any help before hiring a tutor. Our average response time is 5 minutes, and we are available 24/7. We will immediately get in touch with you and resolve all your problems; conflict resolution. Our relationship with you does not end when we have found a Tutor for you. It only ends after your Child achieves academic success, and we will be there, every step of the way. We guarantee you will have a great experience with us, and we look forward to serving you. We do the searching, you do the choosing. Choose your Tutor from a List of Tutor Profiles. 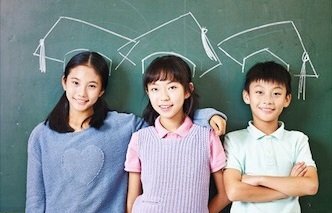 The CocoTutors’ Blog features expert opinion on Education, and Home Tuition Singapore, Guides, Tips and Hacks. Our Features, What we offer, What I can expect from CocoTutors. Browse Home Tuition Rates (market) across Home Tutors in Singapore. Our Home Tutors go through rigorous selection criteria and quarterly reviews to ensure they are capable and competent of providing excellent and quality Home Tuition standards to your Child. In the event that the Home Tutor provided is unsuitable, Parents can choose to terminate home tuition provided at any time after the first lesson. Here are 4 Types of Tutors We Should Avoid. Tutors are regularly graded by a 5-star point system based on 3 criterias, at the end of one month of home tuition. Subsequently, Home Tutors who fail to consistently obtain 4 stars will be phased out by the tuition agency. Therefore we will only provide the Best of the best for you. Content is 60%, but applying it correctly what distinguishes the A's from the B's. Our Home Tutors are able to teach exam skills and effective study techniques during Home Tuition, to ensure they are able to secure their future. Our agents will respond within 2h hours with a List of Tutor Profiles for you to choose from! Here is a Detailed Guide on How to Find Tutors, and also which Type of Tutors to engage. Find a Home Tutor for your Child now!